Charter fishing in the Apostle Islands is a beautiful way to explore this ancient sandstone archipelago. Chequamegon Bay has an excellent early Spring and Fall Salmon run. In the summer months we chase lake trout in the deeper waters out in the Apostle Islands. Where do our trips go? 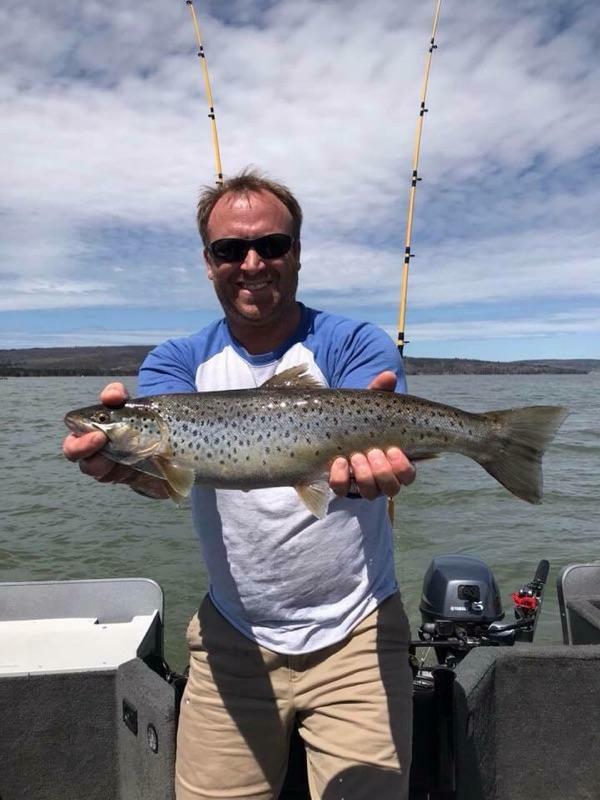 As an Apostle Islands fishing charter located in Washburn, Wi we chase all over fom Ashland, Red Cliff to Cornucopia, Wi to find the fish you are looking for. Dependent on the time of year we may be fishing close to shore. When do our fishing trips in the Apostle Islands depart? Valid state of Wisconsin fishing license including Great Lakes Trout Stamp. Warm clothes, fishing in the Apostle Islands can be an experience in temperature changes so dress in layers. We often greet the morning with a brisk chill and as it warms up throughout the day you may find yourself wishing you brought shorts.